(Update: 10.7.2008: Preisinformationen Schweiz) Data Robotics, inc., stellt die neue „generation 2“ Version seiner externen Speicherlösung Drobo vor. Das sehr einfach bedienbare externe RAID-System wird um eine schnellere FireWire 800 Schnittstelle erweitert. Weiter wurde auch die USB 2.0 Schnittstelle und das Kühlsystem optimiert. Der Drobo fällt in erster Linie durch sein schlichtes Design auf. Doch der Wert liegt, wie so oft, im Inneren: Bis zu 4 Festplatten speichern die Daten redundant, also jeweils so, dass bei einem Festplattenausfall die Daten nach dem Austausch automatisch wieder hergestellt werden. Dabei sei das proprietäre „Beyond-Raid“ System einem normalen RAID-Verbund überlegen. Für den Besucher bedeutet dies in erster Line eine sehr einfach Bedienung – laut Data-Robotics: Defekte Festplatte raus, neue rein und das Gerät den Rest erledigen lassen. Die neue Ausgabe des Drobo erhält nun zusätzlich eine schnellere Anschlussmöglichkeit mittels FireWire 800. Die USB 2.0 Schnittstelle des Vorgängermodells, welche teils in online-Berichten als zu langsam kritisiert wurde, sei zudem verbessert worden. Weiter erhielt der Drobo „generation 2“ einen neuen internen Prozessor, eine neue Firmware und eine optimierte, leisere Kühlung. Der Data Robotics Drobo wird in der Schweiz von der Firma Light + Byte AG vertrieben. Drobo generation 2 wird in der Schweiz in ca. 4 Wochen, also im frühen August zu einem Preis von CHF 751.- erhältlich sein. Mountain View, CA – July 8, 2008 – Today Data Robotics launched the second generation of its award-winning Drobo product. Featuring FireWire 800 alongside improved USB 2.0 performance and an upgraded core processor, the new Drobo is the fastest product in its class for managing and storing digital information. The increased read and write performance now makes the product ideal for use as primary storage for media applications such as photography and video editing, as well as secondary storage. “Years ago Data Robotics set out on a mission: To create a set of technologies that allows storage to be safe, expandable and incredibly simple. Our customers have been asking for a high-performance FireWire connection since we launched Drobo last year, and this new release is the next logical step in providing users with what they need – and have come to expect – in the Drobo product,” said Geoff Barrall, CEO and founder of Data Robotics. 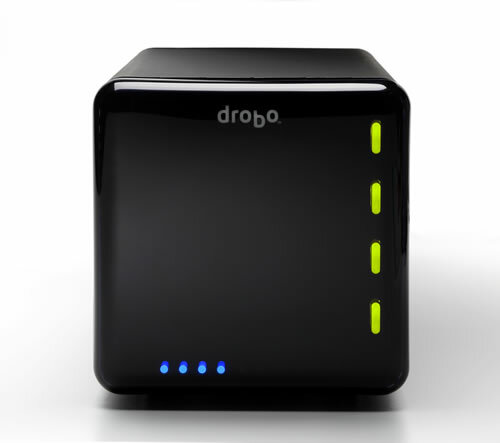 The second generation Drobo incorporates all of the features and functionality that consumers have grown to know and love in its predecessor: unparalleled ease of use, redundant data protection, and instant expandability that allows storage capacity to grow with users over time. New enhancements include an upgraded core processor, two FireWire 800 ports, dramatically increased USB 2.0 performance, and newly optimized firmware. This release addresses the needs of any user seeking a reliable method of managing vast amounts of data without sacrificing performance; from video editors, to heavy down-loaders, to photographers who shoot raw images. “Our ability to deliver FireWire 800 in the newest version of Drobo gives us even more of an edge with two particular groups: Creative professionals who rely on the speed and performance of their equipment in their day to day work, and the Apple community which has a strong affinity for FireWire products,” adds Barrall. 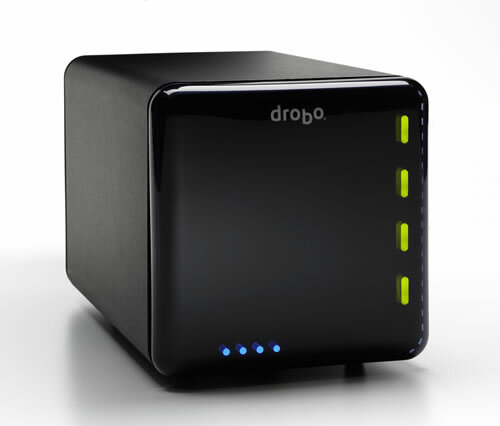 The second generation Drobo is priced at $499 MSRP and also comes in a 2TB version for $899, and a 4TB version for $1,299. All are available for immediate purchase from drobostore.com and B&H Photo, as well as 750 authorized partners worldwide. For a list of those partners or to learn more about how Drobo is changing the way the world stores and protect its data, please visit www.drobo.com.